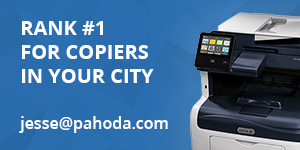 LONG BEACH, Calif., March 20, 2019 /PRNewswire/ -- Epson America, the number-one selling scanner brand in the U.S. and Canada1, today announced that Better Buys, the leading independent office equipment buyer's guide, awarded its newest commercial document scanners with Editor's Choice certifications. The DS-970 and DS-870 duplex workgroup document scanners were recognized in the "High-Volume Machines" category while the DS-80W and DS-70 portable mobile document scanners were recognized in the "Scanners" category. Better Buys credited Epson's commercial scanners for outperforming similar portable document scanners and high-volume duplex workgroup document scanners in side-by-side comparisons. Each product was individually evaluated and compared against competitive document scanners on a range of criteria, including unique features, value to the business and price. "It is an honor to be recognized by Better Buys for both our portable and workgroup commercial document scanning offerings," said Kaila Murphy, associate product manager, Commercial Scanners, Epson America. "These accolades underscore Epson's commitment to providing businesses and our channel partners with reliable, cost-effective and dependable document scanning solutions – from on-the-go professionals in need of a reliable mobile solution to high-volume workgroups in demanding office environments." The DS-970 and DS-870 color duplex document scanners were designed for busy and high-volume workgroups, offering speeds of 85 ppm/170 ipm2 (DS-970) and 65 ppm/130 ipm2 (DS-870). 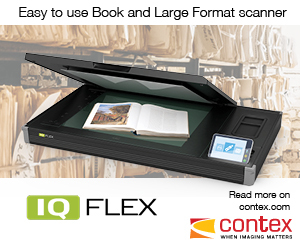 Featuring a 100-page Automatic Document Feeder for high-volume batch scanning, the scanners help professionals easily scan, organize and upload a variety of documents. With the included OCR and powerful Document Capture software as well as compatibility with both Windows® and Mac®, users can create searchable PDFs, store and share their work to online storage accounts such as Evernote®, SharePoint® and Google DriveTM3. The DS-80W and DS-70 portable document scanners are ideal for full-function and flexibility on-the-go. The fastest and lightest mobile single-sheet-fed document scanner4, the Epson DS-70 scans a single page in as fast as 5.5 seconds5. For wireless applications, the flagship DS-80W is the fastest, smallest and lightest wireless mobile single-sheet-fed document scanner6, scanning a single page in as fast as 4 seconds7. Users can easily scan, store and share important documents, as well as create editable text and searchable PDFs with the included OCR and powerful Document Capture software. The Epson DS-70 (MSRP $129), DS-80W (MSRP $199), DS-970 (MSRP $1,499), and DS-870 (MSRP $999) are available through authorized CaptureProSM resellers. All scanners include a three-year limited warranty with Next-Business-Day Replacement8. For more information on the Epson's commercial document scanners, visit https://epson.com/document-scanners-for-business. 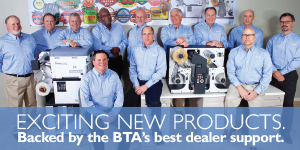 After more than 20 years as a trusted authority on office equipment, Better Buys is a software resource site dedicated to helping companies in the market for various business software, such as Business Intelligence, Human Resource Management Systems (HRMS), Enterprise Resource Planning (ERP) systems and Learning Management Systems (LMS), as well as printers, copiers, and scanners. Leveraging an experienced team of in-house editors, Better Buys offers a range of content and resources designed to help organizations make smarter purchasing decisions, including expert reviews, authoritative whitepapers & reports, insightful market research, comprehensive buyer's guides, and more. For more information, visit betterbuys.com. 1 The NPD Group, Inc., Retail Tracking Service, U.S. and Canada, Scanners (retail, reseller & distributor channels for US and retail only for Canada), Unit Sales, Oct.- Dec. 2018. 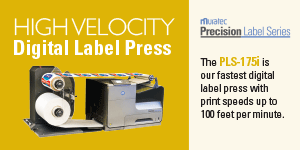 2 Based on letter-sized scans at 300 dpi in Black-and-White, Grayscale or Color Mode. 3 With Epson Document Capture software installed on the connected Windows PC or Mac. Internet connection is required. 4 As compared to competitive personal mobile single-sheet-feeding document scanners priced under $300 USD in the U.S. and Canada, as of May 2018. Excludes other Epson scanners. 5 At 300 dpi, based on 8.5" x 11", 1-sheet scan speed. 6 As compared to competitive personal mobile single-sheet-feeding document scanners priced under $229 USD in the U.S. and Canada, as of May 2018. Excludes other Epson scanners. 7 At 300 dpi, based on 8.5" x 11", 1-sheet scan speed, using the battery. 8 For more information, go to www.epson.com/3yearscannerwarranty. Subject to limited warranty terms and conditions. Expedited shipping not available in all areas. Road Service orders must be in by 3 p.m. Eastern Time for Next-Business-Day delivery. EPSON is a registered trademark and, EPSON Exceed Your Vision is a registered logomark of Seiko Epson Corporation. 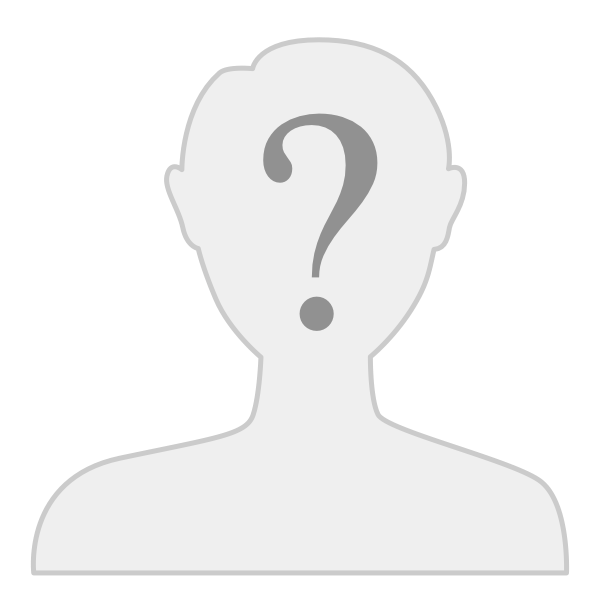 Mac, macOS and OS X are trademarks of Apple Inc., registered in the U.S. and other countries. Android and Google Drive are trademarks of Google LLC. Excel and Windows are either registered trademarks or trademarks of Microsoft Corporation in the United States and/or other countries. Nuance is a trademark and/or registered trademark of Nuance Communications, Inc. or its affiliates in the United States and/or other countries. All other product and brand names are trademarks and/or registered trademarks of their respective companies. Epson disclaims any and all rights in these marks. Copyright 2019 Epson America, Inc.